"A low whistle tootled through the open window. Like a bird whistle, but different. Alix sat up in Jools's bed, then peeked through the curtains. Nessa was out there, just beyond the bush with the yellow flowers. "Hi!" said Alix. "Shh!" said Nessa. "I'm not supposed to wake you up, but do you want to go to the bakery? My grandma says we can, if it's okay with your mom and dad." Today is a dreary, windy day ... not an auspicious start for the first long weekend of the summer. I am feeling bad for all those friends who headed to the lake, hoping to boat, swim, barbecue and enjoy the sunshine. For me, it was the perfect morning to read this quiet celebration of family time. Alix is thrilled to start early in the day on a journey with her sister, Jools, and their parents. It's the start of a weeklong vacation at the beach, something they have never done. Told entirely from Alix's perspective, it is a novel of discoveries and circumstance. Each new chapter focuses on those things that make the whole experience worth remembering for a lifetime. The beach is not exactly what they were expecting, but so much more. Some of the things that happen are scary, most are marvelous. Readers follow Alix from one day to the next sharing with her what makes life at the beach so special and worthy of a return trip. Ms. Perkins encourages a quiet look at nature in all its beauty while allowing Alix to show emotion at every turn. 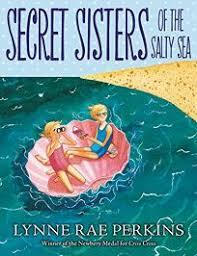 The dialogue is spot-on, between child and parent, sister and sister, friend to friend. The language is gentle yet clear, allowing readers to understand this new time and place through Alix's senses and her perception of all that happens. From the first paragraph as the Treffrey family moves from house to car, the text contains a beauty that is almost tangible. "The bottom of the sky glowed deep electric blue at the far end of Boskey Street. Overhead it was still velvety black, prickled with stars. The houses under the sky, which Alix knew by heart in the daytime, were also dark. Dark like mysteries, or secrets. Friendly secrets. Everyone was asleep." Can you see it? We all know that darkness. Her storytelling carries us through with beautiful descriptive writing that begs to be read aloud. I found myself stopping to reread portions, and admiring it once more ... or twice. There is so much to learn while they are there, and they learn it through observing and through hands-on adventure. After biking to a wildlife preserve and holding an injured falcon, Alix longs to return. When she and her mother do go back, she is both excited and apprehensive when asked if she would like to release the now-healed peregrine. She would, and does. What joy she feels in the freedom given the bird. It is not unlike the many opportunities the 'sisters of the salty sea' have savored during this exceptional time with family and new friends. Their world has become much larger. Pencil illustrations add appeal, context and humor as the family experiences the sights, sounds, smells, tastes and touches of a truly magnificent week's holiday. "While Hansel and Gretel made themselves at home, Willow used her best and most delicious spells to cook up a feast for them all. Unluckily for Willow, when she got to the table she found that Hansel and Gretel had already gobbled up all of the food! 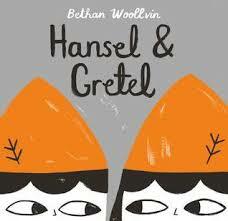 But Willow did not get angry ... "
Willow is a good witch who lives in the same forest that Hansel and Gretel call home. Using her good magic, she has constructed a gingerbread house and lives there happily. While on a walk in the woods, she notices a bread crumb trail and meets two children at he end of it. Hansel and Gretel are rude to Willow. Willow's worry is that the bread crumbs might provide the only invitation needed for the mice and birds of the forest to find their way to a gingerbread feast at her house. She asks for help cleaning up. As happened in the story of the Little Red Hen, the brother and sister see no need to help. "But Willow did not get angry, because Willow was a good witch." That refrain is repeated throughout this fractured fairy tale. After the work is done, she arrives home to find them eating her house, and promptly invites them in for dinner. (You know what happens then!) When they find her book of spells and use them for mischief, they create a big problem. Not wanting to take any advice from a good witch, they push Willow into the oven and continue creating mayhem. Willow's alter ego finally takes a stand! Readers will be delighted with the comeuppance for two incredibly nasty children! This is the third book by Ms. Woollvin that takes a traditional story and gives it a twist. If it sounds appealing to you, look for Little Red (Pan Macmillan, 2016) and Rapunzel (Two Hoots, 2017) at the library or in your local bookstore. They are sure to become favorites with your little ones. water into the zippered ... "
In this terrific book for older readers, the double-page spreads follow the trademark design of previous books from DK Publishing. Why do the project, how much time it takes, the level of difficulty, needed items to complete it, a numbered step by step method, and the reasoning for its success ensure that young scientists develop skills through hands-on learning. This time each of the 25 projects bring success when done in the outdoors. It is a great companion to an early post, Maker Lab (July 22, 2016). Once again, projects are divided into four sections: Nature Watch, World of Weather, Water Power, and Earth and Sky. Useful templates, a glossary and an index follow. Jack Challoner is a seasoned author and uses interesting scientific questions to provide projects meant to educate and entertain, while also encouraging readers to be creative in the way they work through the various experiments. "I'm hoping that this book will answer some questions you might have - and make you more curious, too. 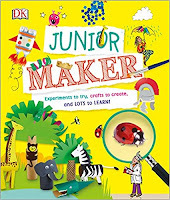 It's packed with lots of fun science activities and uses things you should be able to find at home or easily get hold of. They're perfectly suited to experimenting outside in the fresh air." Nature Watch offers help for building a periscope, a butterfly feeder, a wormery, erosion bottles, a soil-free planter, seedling pots, and for growing mycelium. The list is extended in each new section. The projects range from easy to hard, and some will require adult supervision. That means there may be new learning for parents and caregivers, too. I particularly enjoyed the directions for making ice cream and marbled pebbles in the section on water. I know kids who will love the directions for water rockets and air cannons. Do you? A list of what is needed includes honey, milk, liquid dish soap, water (with added food coloring), and oil. Additional to the liquids are a tall glass and a variety of small objects as a screw, a ping pong ball, a Lego block ... use your imagination in selecting objects of different sizes and weights. An explanation for how density works, and a second experiment fills the double page spread for this particular experiment included in the "Let's learn about ... Science" section of this informative and interactive book. Other sections included in the Table of Contents include space, nature, history, and animals. Templates for 'two of the trickier projects' are found at the back of the book, as well as an index. As is true in all DK activity books, the editors include step by step instructions for completing the various projects, a list of materials needed, and short bits of information concerning the topic presented. A lot of fun and learning for kids looking for things to do this summer. Most kids in Canada finish another school year today. Parents and day-care providers will be looking for experiences that entertain while they also teach. This book is perfect for that. 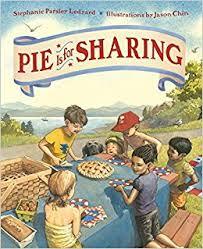 While Canadians prepare to celebrate Canada's birthday this weekend, and our American neighbors look to later in the week for their own national celebration, this seems the perfect book to share today. It is an invitation to communities to revel in this first big party of the summer. We will all celebrate in our own ways, and hopefully with the same sense of community exhibited in this engaging picture book. Opening pages show a family of four preparing for a happy outing. A picnic basket is packed with tempting fruit pies, backpacks are filled, bike helmets are at the ready. Their bicycle procession heads off in the same direction others are taking, dad in the lead and dog in tow. Arrival at the park puts them in touch with a large multicultural group of friends and neighbors, all with sharing on their minds. Once the meal has been consumed, the children are left to their own devices to discover what else is worthy of sharing - a book, a ball, a tree, a jump rope ... the list goes on. Don't forget the sky and the evening's fireworks! Stephanie Ledyard's lyrical text is impeccably complemented by Jason Chin's detailed and child-centered illustrations. Viewed through the eyes of the children in attendance, the perspectives shift to allow readers to see the joy inherent in the get-together. The many lovely details capture the often funny and always entertaining experiences those gathered share throughout the day and into the evening when fireworks provide a last hurrah. This is a family and community celebration, and a perfect way to begin a joyful summer of time spent in each other's company. What an introduction to the red-tailed hawk this is! In lovely language and poetic form, Ms. Gianferrari presents the majestic father bird in pursuit of food for his three newborn nestlings. They are hungry, and it is his job to bring what they need to sustain them and help them grow strong. His furtive attempts are met with failure, as first a chipmunk escapes to the safety of a porch. Then, keen eyes help him spot a group of sparrows. Thwarted by the bushes that surround them, he must take to the sky once more. This time he achieves success. Persistence pays off, and Father Hawk returns triumphant to the nest. The chicks are fed, their screeches quieted. Safe and full, the family can sleep, as can the pair of watchers who have been focused with binoculars on the hawk and his day's search. All will be quiet until the morning, when the hunt for food will begin again in earnest. 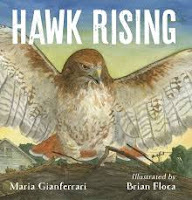 The beautifully rendered and realistic watercolor images, and brilliantly designed pages, allow readers a clear and careful look at the hawk's many actions as he weaves his way across the sky, soaring high and plunging downward in hopes of capturing his family's meal. The ever-changing perspectives capture the eye, and keep the reader's attention glued to the action. Two final pages offer red-tailed hawk facts, as well as a list for further reading, viewing and accessing information on the Internet. ever cognizant of the wild beauty in the world around us. when he's far from home." I am so sorry I didn't get this posted in time for Father's Day. However, it is a book worth sharing with a child every day of the year. In her debut, Soosh allows us a peek at the relationship between this little girl and her larger-than-life dad ... really large as you can see! Dad has a burly look, with his long hair, full beard and broad shoulders. His heart is as big as he is! His daughter is tiny in comparison, with long braids, a loving look, and a zest for time spent with her dad.There is nothing he won't do with, or for, his little girl. She is delighted to tell readers everything he does to make her days the best. "He tells the best stories. He makes every room feel cozy. from monsters under the bed." The gorgeous watercolor artwork created to enhance the text is full of lovely moments the two share together. The love they have for each other is evident on every page. Generous white space ensures that attention is constantly focused on the relationship between the two. “He is deliberately big, much bigger than the figure of the little girl, his daughter, because this is how she sees him — and this is how many of us see our heroes or parents (which, if we are lucky, are the same thing). His beard makes me think of something ancient, strong, solid. He is someone who is there just because: to love you without any reason, unconditionally and forever." Tender, emotional and beautifully rendered. 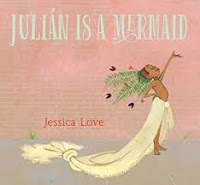 Julian and his abuela are riding the subway home when Julian notices the three mermaids traveling with them. Julian loves mermaids. His dreams are filled with swimming with them, and turning into one. In fact, Julian is convinced that he is a mermaid, too. His grandmother answers his questions, listens to his assertion, and heads off to have a bath. As she bathes, Julian finds all he needs in her house to transform himself into a mermaid: a crown of ferns and flowers, some lipstick and a gossamer curtain for a tail. When his abuela returns to the living room to find him looking spectacular in his costume, she gets herself dressed, brings him a necklace to wear and take him out to a mermaid parade. Julian makes his mermaid debut as part of that parade, his grandmother proudly accompanying him. 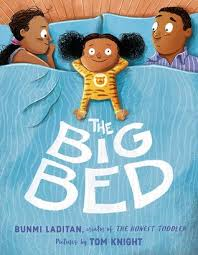 What a truly remarkable picture book this is! Julian knows who he is, his grandmother is totally comfortable with and accepting of his strong sense of self. The watercolor, gouache and ink artwork is full of wonder and bold color. Sicily (3) and I read it daily, and she counted it among her favorites of all the books we read in the five weeks that she was here visiting. She loved Julian's wordless dream sequences where he turned into a mermaid. She noticed how the endpapers changed from front to back. 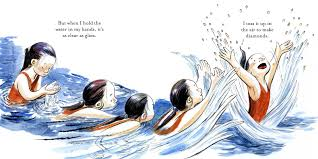 We also named the swimming grandmothers, both front and back, every time we read it: Grandma, Gaga, Baba, Abuela, and Nonna. You won't forget Juilan, his abuela, or their wonderful story! "How does your garden grow? to know that the second set of two is now available. They have been poring over the first two in the series for a few months now, Deadliest and Trickiest. They will surely love that these new ones as much as they ones they already have in their classroom library. There is just enough information provided, alongside stunning pictures done in torn paper, colorful collage. The page headings are fun, and will intrigue with such subjects as Stink bomb, Sour spray, Bird farts, and Smoke screen. A table of contents leads readers to the one they think might be the 'best', or most disgusting. Vocabulary is not always easy, but that won't deter interest in learning as much as they can about these 'stinky' critters. The format matches the other books in the series. White backgrounds ensure that attention is given to the animal itself and the facts provided in a short paragraph, a secondary sentence, a world map, and a size comparison to a human body. 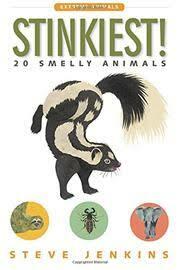 Back matter explains that there are three reasons why these animals included smell bad. Most have a strong odor, a few mark their territory with that smell and for another few, their diet determines how bad their smell is. A glossary and bibliography are useful. 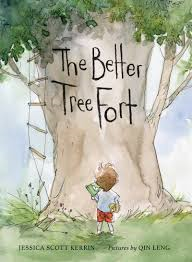 This is excellent nonfiction for early readers. enough to kill a lion." 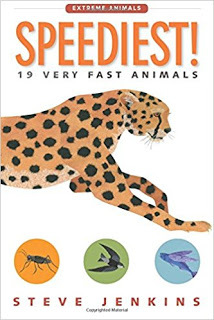 Steve Jenkins describes nineteen different animals and what it is that makes them the speediest of all the animals in the world. They run, fly, swim, catch prey, seek safety, and they are fast! I really enjoyed this third in the series concerning extreme animals. Each entry is designed to provide as much information as possible in the single or double page format. On that spread, young readers will find a short informative paragraph, a world map plotting said animal's territory, information bubbles that include top speed and something unique to each, and perspective concerning its size as compared to a human body. Mr. Jenkins uses his signature collage artwork to attract attention and provide real information for his readers. This is a very accessible series, published in paperback and worthwhile for purchase to add to classroom libraries. "I go inside while Mom heads down the street to collect my brother from his friend Brock’s house. Taking advantage of the quiet, I wander around the main floor, letting the memories flow through me uninterrupted. Each room holds a small reminder of Aubrey—the kitchen, where we baked countless cookies and cupcakes. 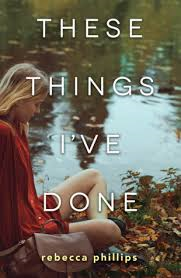 The main floor bathroom, where we spilled nail polish on the counter and left a red stain ... "
The premise for this book is heartbreaking - the loss of high school senior Dara's best friend in an accident more than a year ago. The pattern used to tell their story makes it a compelling read. Alternating chapters take readers from scenes Before the accident when Dara and Aubrey spent every possible moment together, to the present in After scenarios where Dara is left to deal with the loss and repercussions of the accident that killed Aubrey. It is an incredibly effective way to tell this harrowing story, and provides the background needed to help readers deal with what is happening in the present. Dara was the leader in everything the two of them did together; Aubrey, the follower. When Dara shoves her friend while walking home after school and Aubrey trips and is crushed by an approaching truck, people rush to blame Dara for the accident and Aubrey's death. Hoping to take some pressure off their daughter as she deals with the loss of her friend, Dara's parents send her to live with relatives for her junior year. Wanting to spend senior year back at home, Dara returns to school and faces persecution as she struggles with the daily guilt that overwhelms her. She finds an ally in Aubrey's younger brother, Ethan. The two have been fast friends since sixth grade when the two girls met. This well-written story examines harsh realities: death, guilt, and endless grief. It is also a story of forgiveness; forgiveness that comes from others, and also forgiveness for oneself. Emotional and empathetic, it is a book that will find fans for the characters who are both real and flawed. Their path to a better place is troubled, and ultimately hopeful. "Now big things - like meeting my new teacher and finding my desk, and wondering if my friends are allowed to wear tinted lip gloss to school this year - seem little. And little things - like family photos disappearing from the refrigerator door, and not hearing Dad's truck pull into the driveway, and not smelling his spicy chili simmering on the stove - seem big." I'm on a run right now with some terrific middle grade novels. I did a lot of reading in the winter, and just can't get the posts done fast enough to keep up with all those books I really liked. So, I will keep moving forward telling you about the ones I think would be great additions as you build your classroom library. Wren is coming back to school after an overwhelming summer for her family. 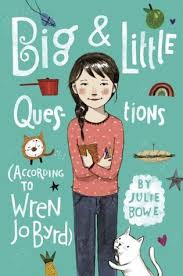 Her parents have made the painful decision to divorce, have sent her to spend the summer with her grandparents, and nine-year-old Wren finds herself unable to share the news, even with her best friend Amber. It causes a rift between the two girls. As well, while away, a new girl has moved to town and Amber is spending her time with Marianna now. Wren feels alone, but is unable to share what makes her sad. Marianna is that girl who seems to breeze into town and take over. Amber is definitely intrigued with her attitude, her stories, and her self-confidence. While Wren copes with life in two houses, weekdays with her mom in their house and weekends with her dad in a rundown cabin across the lake, she also looks to the dictionary for help in understanding her new reality. 'After I change my clothes, I look up the word separation. from my bedroom windowsill. "They are still husband and wife." "Mew?" Shakespeare says, flicking his tail. I nod. "Separation is different than divorce. They can still get back together." Wren's first person voice is extremely effective in allowing readers to understand her confusion, the resentment she feels, and how determined she is to try to change the challenges the family is facing. Real and hurting, it is easy to feel her pain and to understand her reaction to it. "Sam is leaning against the wall again, waiting when I pull into the school parking lot on Monday morning. She jogs toward my truck and climbs inside. Before I realize what's about to happen, she leans across the seat and plants a kiss on my lips. As if we've been together for years. As if I'm used to having girls in my truck, or in my life for that matter. I think my new shirts are working." Pot, and the sale of marijuana, is very much in the news these days in Canada. As the date for legalization looms closer, many are weighing in on the pros and cons of such a law. It will be interesting to see, from all sides, how it impacts our country and its citizens. It reminds me of this book I read in February, and the fact that I wanted to share it with you. 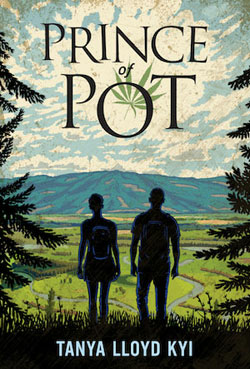 It is a powerful story concerning Isaac and his family, whose occupation is growing illegal marijuana. They live in the mountains of British Columbia where the two children were home schooled in order to keep everyone off the public grid. Judith, Isaac's older sister, broke that pattern when she demanded to be able to attend school in town. She now lives in a old school bus on family land while she works, and Isaac has been allowed to attend high school where he is a senior. Isaac has done a commendable job of not attracting any attention at school. His art teacher notices his keen artistic ability and encourages that talent. Lucas, who has a locker next to Isaac, has discovered the family secret and uses that knowledge to get his own weekly supply of pot from Isaac for his silence. At home, he does his best to do what is needed to be done, to keep an eye out for anyone who gets to close to the family farm, and to try to keep the peace between his parents and grandfather. It is not an easy life, or comfortable. When Sam, a girl from school, gets too close to the grow-op while on a hike, Isaac tries to discourage her with a warning about bears. When a bear appears and is dismissed by Isaac's firm voice, Sam notices. She doesn't know the bear is very familiar to Isaac. Isaac escorts her back to the beginning of her hike, and asks her not to mention the encounter with the bear. So much for trusting her. The next day, everyone at school knows, and he is afforded hero status. Their meeting sets in motion questions, concerns and action. Tanya Lloyd Kyi handles family conflicts with candor and empathy for the teens who are struggling with decisions made for them. Isaac wants to be the son his father wants him to be, but he has hopes and aspirations for a different life. Sam wants her RCMP father to pay attention to her and what she wants. The ethical issues Ms. Kyi's story presents is fodder for some terrific discussions with adolescent readers. I would love to hear what they have to say about the family and friend issues, and the questions that arise given the family's anonymity. age. The doctor said so." skinny like you. So I don't ... "
Living in New York as the daughter of a charismatic and famous ballerina has not always been easy for Clara. She, like many girls, wants to emulate her glamorous mother whose strict and unrealistic rules about food have been part of Clara's life from a young age. Unfortunately, those rules have resulted in the 16 year old's orthorexia ... defined as an obsession with eating foods that one considers healthy. Eating healthy and being active is not a problem until it becomes an obsession that defines everything Clara does. 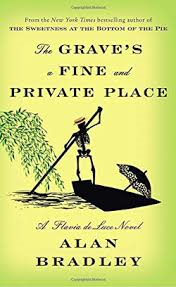 When things go wrong on social media, Clara makes a decision to spend the summer in Paris with a father she has rarely seen, and his new family. Her half-brother Alastair is 6 and autistic. Spending days with him is a brand new experience for Clara, and offers life lessons that prove meaningful for all. She also meets Michel, a 20 year old pastry chef who steals her heart. Michel obviously loves food, and Alastair has some very honest opinions about Clara's relationship with it. Buoyed by their concern for her health, she is able to look more closely at decisions she is making. In this story of love, family, acceptance and being patient with oneself, we meet a cast of strong characters. The pacing make it a book that holds attention and offers hope for the future. The fact that the two main characters - Clara and Alastair - are each dealing with being different evokes empathy and understanding for those who read their story. It is very interesting to see the world so clearly through their eyes. The Parisian setting, the development of character, Clara's first person voice, the honest dialogue, and the willingness to include bumps along the path to a happier, more loving family won me over. "An hour into Math, students point out the window. “Class!” snaps Mr. Winters, to no effect. A fire truck wails up the main street of our little town (population two thousand), its flashing red lights bouncing off the school’s football field posts, where it stops. I leap up to join the students crowding the window; even Mr. Winters stands there gawking. One look and I’m out of the classroom ... "
The first part of this thrilling adventure introduces readers to 16-year-old Tristan and his complicated life. He is a skilled tracker, thanks to his father's coaching. In fact, he is one of the best and shows his many skills as often as he possibly can. He reads tracks, is fearless when climbing and descending rock walls, and owes it all to his father and his love of canyoneering. When his father dies, as you would expect, Tristan's life changes dramatically. His mother cannot cope with her grief. She takes to her bed, and can barely make sense of life. Tristan's uncle and a less-than-qualified housekeeper do little to help Tristan deal with the hardships inherent in struggling to find balance and understanding for all that has transpired. As things get worse, he makes up his mind to search for his father, whose body has never been found. 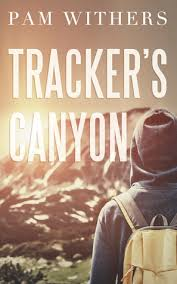 Tristan wants proof, and is determined to head to Swallow Canyon in search of clues to his father's disappearance and presumed death. Into the picture comes a new guide, Brigit Dowling. With her, he goes into the canyon for the first time since losing his father. They are accompanied by Dominik Goralski. Tristan begins to notice clues that lead him to conclude that he is the one being tracked. It takes all of his skills to keep him safe. It turns our that the story's characters are connected, and their beliefs about what happened are quite different. This fills the story with the suspense that middle grade readers appreciate. I had no idea that I would become interested in the sport that consumes Tristan, and learn so much about it. But, that happened and I had difficulty putting the book down. It is a story about what is true, how families work, friendship and courage in the face of danger. Worth the read! even fished in a puddle." 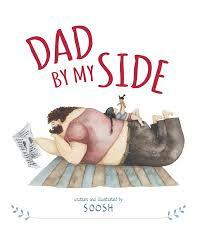 I think this book is a perfectly celebratory one for sharing on Father's Day. I hope that all dads get to spend the day with their kids doing what dads and kids love to do together. In this case, it's fishing. Joe loves to fish. He doesn't mind not catching any. He is content to be in the outdoors, in tune with the sights and sounds that envelop him. Dad doesn't feel the same way. He likes to be more active, and he doesn't like the worms that Joe uses to entice his catch. You can imagine how Joe is feeling. 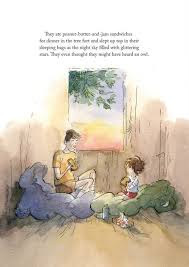 If you cannot, you need only check out David McPhail's winsome illustrations as Joe listens to his father's refusal. 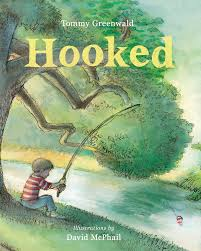 Joe continues to dream about catching The Big One; so, he joins the fishing club. They fish anywhere, and talk about their experiences. Joe continues to invite his father along, sure he will eventually like it. His father refuses his son's invitations. When the fishing club leader announces an ice fishing trip, he lets club members know that they must be supervised by a parent or guardian. What will Joe do now? When asked, his father agrees to go, but only if this is the first and last time. Together, they carve a hole, then sit to fish. They looked at the ice. They looked at the sky. Will it change what happens in the future? Has Joe finally caught The Big One? Some books are windows, some books are mirrors. For those for whom this is a mirror, it offers cause for hope. That line pretty much sums up Louis' life in the year and a half following the breakup of his parents' marriage. He is a keen observer of all that is happening as he and his young brother Truffle are transported back and forth from his mother's apartment in the city to the rural family home where his father remains. He knows his father drinks too much, and that drinking led to the problems that have separated the family. He knows his mother is scared, confused and sad. He knows he wants to take care of Truffle who doesn't fully grasp all that is happening in the family; he is too young yet and needs protection. The speech bubbles used for conversation between the two are engaging and informative. His best friend Boris is a constant companion, giving advice that may not always be appropriate but supportive at every turn. I love their conversation while spying on ghost cop cars, and Boris' advice for Louis concerning the girl of his dreams, Billie. Louis admires everything about her, but cannot work up the courage to talk to her. her glasses slip is almost like being alone with her." There is heartbreak, and there is hope. As Louis navigates and shares the complexities of a family struggling to find a new path, and the overwhelming ache of first love, he grows and changes. His voice is remarkably authentic, and his story is one of bravery in the face of obstacles. Of being brave, he says that it is “not much to do with manliness and lots to do with danger.” He faces it head on, and we are better for knowing him and his struggles. Isabelle Arsenault uses pencil and ink to create her remarkable illustrations for this absorbing graphic novel. Using variety in color as Louis navigates the events in his life, she moves from somber grays with smears of black when he is angry and hints of blue when he is less worried, to bright washes of yellow whenever Billie is in sight. Readers will pore over each page, the conversations shown in speech bubbles, the touching impact of each scene. Emotional and stunning, this book is about family, tenacity, divorce, alcoholism, and ultimately about the power of love to heal and uplift. "How was your time with Granddaddy? You've sent me to a child labor camp. Why does he have to call me Chuck? Kwame Alexander continues to amaze! I have read each of his published books: in each case, more than once. It is not something I do often. I have such respect for his talent, his love of poetry, and the care he gives to the stories he tells. Rebound is a prequel to his Newbery Award winner, The Crossover. The beauty of it is that you need not have read the first one before reading this marvelous book. 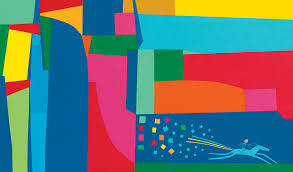 It stands on its own and may just be the impetus you need to take a close look at the totality of his work. It will not disappoint, and you are sure to be inspired to talk about it with others, and to share it with your favorite middle grade readers. When Charlie Bell's father dies, his world is turned upside down. She wants to talk, he does not. He is angry, and hurting. He and his mother have difficulty communicating, allowing Charlie to dodge any conversations that remind him of his dad. Charlie is a boy to admire; his first person narrative is emotional and honest. Family, friends and a growing skill at the game his father loved to play help him begin to heal his heavy heart. 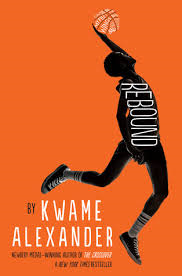 As is the case in each of his books, Kwame Alexander's rich and brilliant way with words totally capture the aching sadness, the adolescent dialogue, the excitement of the game of basketball, and the conflict that is inherent in a family reeling from a devastating loss. For Charlie, the summer provides the chance he needs to 'rebound'. 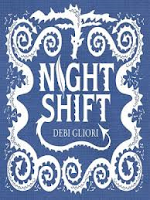 In this tiny book with a big message, Debi Gliori speaks to an adolescent audience, and to adults as well. It is a much needed, and openly honest, look at depression and the overwhelming weight of it. Throughout the uncluttered text, she never gives it a name. The young girl describes it with candor and fear. Words escape her; she cannot begin to describe the hurt, the worry, the overwhelming sense of losing herself. Wanting to help, others offer words meant to encourage her to find a way forward ... easier said than done. Finally, trying to outrun her demons and sure that she has failed miserably, a tiny ray of hope appears and shifts her focus. In black and white charcoal artwork, and using a dragon to represent the overwhelming burden the child faces, the reader is witness to the battle she wages and the night skills learned to give her strength. tolerance and compassion for those who too often suffer in silence. This book might just be the light at the end of a long tunnel for someone dealing with anxiety and depression, letting them know they are not alone. simply hung on and waited to become well again." Those who suffer will recognize themselves in her words. and the catch ... ? 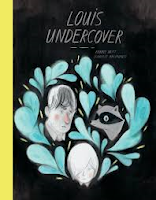 Here's another wordless book to add to that list you are keeping. Perfect for baseball season, and all those kids who love the game. I have noticed that there are fewer pick up games in playgrounds and on ball fields each year. I'm not sure if that is because now there are organized teams and leagues for even the youngest ball players, or that kids are just not getting outside to play as they once did, or what. You know how we seniors talk about the old days when we were outside all day long, and pick up games were ongoing. I miss the sound of kids at play! 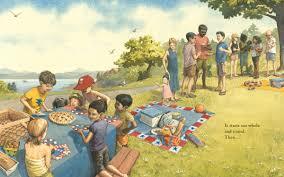 This book pays homage to the joys inherent in kids getting together to play a game of ball. A new boy, on his own, looks through the fence to where a group of ball players his age are preparing to get a game going. The organizing kid sends this unknown to the outfield where he soon has the chance to prove his worth. Wanting to prove his prowess, he faces the task with perseverance despite many imagined obstacles to success and meant to dampen his confidence. In the end, he does just what he says he will do: I GOT IT! Bravo! Created in acrylic, gouache and watercolor, David Wiesner does what he has done in previous books that are equally intriguing. He paints a realistic scenario of one moment in time, and makes every stroke of the paintbrush meaningful, and mesmerizing. Kids who have played the game and made (or tried to make) such a play will immediately connect with everything about this superb new book. The grownups who share it should be prepared for rereading, and for discussion concerning the many possibilities for what might have happened ... but, didn't! A young girl in blue. Here's another outstanding book to add to your growing list of wordless books. They can be such powerful conversation starters, and offer kids learning a new language a way into stories that ring true for all readers. 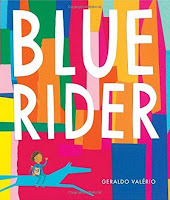 In his new book, Geraldo Valerio engages the imagination of children, while also speaking to the magic that is art. 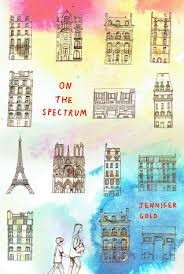 Opening pages show a somewhat drab urban landscape ... tall, towering buildings, a many-windowed apartment building showing only one young girl looking out, crowded streets and then, that girl in bright blue with a matching backpack as she exits her home. Almost every eye at the turn of the page reacts with awe to a book on the ground in front of her. She picks it up; her quick action changes everything. Off she goes, leaving others to pay attention to their phones, their routines, walking their pets. Once home, the girl settles for a closer look. Her imagination soars as she envisions the fine blue horse from the cover fly out over the urban landscape, transforming her city into a burst of brilliance that transforms each ensuing spread. Their magical ride ends with her arms wrapped around the book, a satisfied smile on her slumbering face. One final look shows the walls of her once-drab bedroom completely changed to reflect the pinks, blues, yellows, oranges and greens of her imagined journey. The art is abstract, and inspired by 'the German Expressionist group known as Der Blaue Reiter, which formed in Munich in 1911 and included Franz Marc and Wassily Kandinsky.' This is a gorgeous homage to the visual arts and the joy brought through color and motion, and an interest in artistic expression. "Unfortunately for Fawcett, the experts at the Royal Geographical Society believed that the Amazon rain forest could never have supported such a city, and the legend of Z was simply a myth. But that didn't stop Fawcett. He knew that the discovery of Z would be the adventure of a lifetime, make him rich and famous, and ensure that he would go down in history." 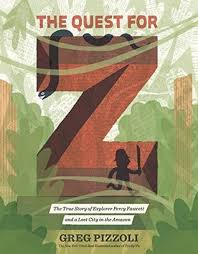 Perhaps the man in Katherine Rundell's tale of courage and intrigue was someone like Percy Fawcett, a British explorer whose work for the Royal Geographical Society (1906-1924) led to his mapping previously unknown regions in South America, and the Amazon rain forest. The first half of the book introduces Percy, his family, his obsession with exploration and gives readers a clear look at what he was willing to endure as he did the work he set out to do. The descriptions of his explorations are fraught with danger, When the Society would no longer fund his trips, he chose to set out on his own. Following reports from indigenous people in the area, Fawcett began a search for a lost city they believed to have existed. letter of the alphabet. He made finding Z his life's work." He could not get government funding for his search; so, he made deals with the press to get the money he needed. He would send reports from the field that would then be forwarded immediately for publication. The first venture began in April 1925. Reports were forwarded for one month, and then nothing. The expedition was never heard from again. Using his signature matte and mixed media artwork, Greg Pizzoli provides details that are sure to fascinate readers. They add context to the writing and the information boxes included. They make for a thrilling story of perseverance, courage, and perhaps foolhardiness. In back matter, the author begins with an archival photo of Mr. Fawcett and an author's note. I found the information provided concerning those explorers who have tried to find clear evidence of what happened in that final search fascinating. Finally, he adds a glossary and a useful list of selected resources. This book will find fans in middle grade classrooms, especially those who love history and exploration. "What was the expedition looking for?" asked Fred. "Various things. Some of the men were looking for a city, others for plants for a new medicine. I was just hungry to see the world. We were naïve, and clumsy. Two men died. But I loved it." The explorer began sketching a map in the dust. "You come this way - around the edge of the rapids by Dead Man's Point, and north. Water leaping up into your face ... "
The two books I have chosen to tell you about today were both published last year. I am sorry it has taken me an age to post them for you. You will soon understand why I chose to post the two together. It's a wonderful way to share this incredible story with your kids and your students. First up is this wondrous tale of a plane crash, and the four children who survive it. Mostly unhurt, and with little knowledge of how to withstand the rigors of their environment, they carry on, overcoming their fears and working together to deal with their needs. It is a story of courage and adventure that you will not soon forget. Fred, Con, Lila and Max have different reasons for being aboard the plane as it comes to its fateful end in the Amazon jungle. They discover a map, only by chance. Using it to help them find their way back to civilization is fraught with the many dangers inherent in a jungle landscape. It is not only the animals that threaten them; they also face hunger, thirst and the ever-changing weather. 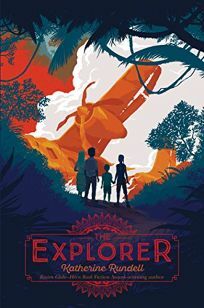 The map leads them to a hidden city ... one that holds many secrets and is inhabited by a strange man who just might be a famous explorer who disappeared years ago. He will not reveal his identity, and he will not travel with them. Using each of their unique interests, they continue moving toward a happier ending than the one they fear. The four show courage in the midst of danger, and leave readers astonished by their will to survive. Fast-paced, thrilling and memorable, it will garner many fans for this brilliant writer. Katherine Rundell totally immerses her readers in the Amazon environment, a place she has visited. 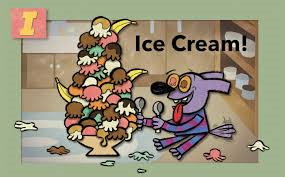 You will not recognize this character from any of the Mo Willems books you already have on your bookshelf. You will surely pinpoint its zany personality as just another of the madcap figures created to captivate and charm young readers. With its zest for eating, its brash demeanor, and its colorful look, it takes those readers on a harried journey through the alphabet. Bounding out of bed and heading straight to the kitchen, Busy begins its 'alphabetical smorgasbord' with an apple - well, a bowlful of apples, then berries, donuts, and eggs. F poses a problem until it gloms on to the furniture in the room. From there, nothing is safe. The romp halts for a moment at O! That is when the full impact of all that has been consumed makes the creature realize just what it has done. The stomach revolts. 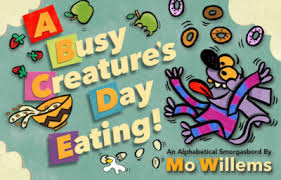 For the rest of the book's pages, attempts are made, with the help of a friend (or parent), to neutralize the effects of its enthusiastic endeavor to consume an alphabetic buffet. No one will be surprised at the end result of such gluttony. Kids will enjoy making guesses at what this busy creature will choose for the next part of its meal. Each spread is sure to capture attention and invite conversation. In the end, they will also be impressed with the love and tenderness shared by the present adult, and the lack of judgment displayed. Only warm hugs, and understanding for the way Creature is feeling after such an unusual feast. Just when you think you have seen every type of alphabet book imaginable, along comes Mo Willems. As he so often has done, he ups the ante and the humor factor once again. Lively and most enjoyable! "... would simply do away with myself. And as an authority on passing, I knew precisely how to accomplish it. No cyanide for me, thank you! I knew the symptoms all too well: the vertigo, the dizziness, the burning in the throat and stomach and, as the vagus nerve becomes paralyzed, the difficulty in breathing, the cold sweat, the feeble pulse, the muscular paralysis, the crushing heaviness of the heart ... "
Can it be the ninth time I have spent a glorious day reading about Flavia de Luce, her family and her unusual encounters with the dead? Flavia is having great difficulty dealing with her father's death, the further breakdown of her relationship with her sisters, and the arrival of Aunt Felicity and her announcement that Flavia's beloved family home, Buckshaw, is to be sold. How can that be? Buckshaw has been left to Flavia in her mother's will. Her aunt will not be dissuaded, and a 12 year old has little power to make decisions for herself in 1952 England. To the rescue comes Dogger, their devoted servant and Flavia's best friend. He suggests a family trip on the river might be the distraction needed. As they motor toward the riverbank, and an infamous site sure to please Flavia's interest in convicted and executed poisoner Canon Whitbread who was alleged to have murdered three of his parishioners, Flavia's hand comes in contact with a corpse in the water. In fact, it is the body of the Canon's son, Orlando. Flavia remains calm and composed, as those who know her would expect. She is quick and discreet in collecting evidence that might help she and Dogger discover what has really happened here; just another death in a long line of cases requiring her assistance and knowledge. Her detective work is not always appreciated by the local police; she remains persistent in solving the mystery of this new death and of taking a fresh look at the old case as well. Fans (like me) will be delighted to read this new book. We know that when Flavia is on the case, there will be humor, bold confidence, brilliant intuition, an uncommon fascination with death and poisons, curiosity, charm, and a promise for future adventure. "A brass plate, Miss Flavia?" Dogger asked. fingers. "And on it we shall have these words: Arthur W.
Dogger & Associates - Discreet Investigations." doesn't it, Miss Flavia? Discreet is such an elegant touch." For the two young siblings in this book, summer vacation has ended ... just when so many are embarking on a yearly visit to sand and sea and others are dreaming June away in hopes that a trip to the lake will be one of their first adventures of the upcoming summer holiday. As they settle back in at home, the two feel the weight of the return. They feel blue. The little girl notices that her sandals are filled with sand. 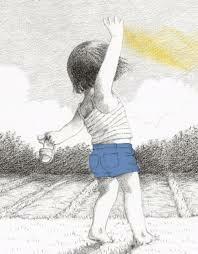 Her imagination soars as she decides that she will NOT just throw it away. It's her idea to plant those grains, and see what they could become right in front of their eyes. It is a perfect distraction from the feelings of sadness and loss they are feeling. Golden umbrellas and pinwheels, a field of lemon ice cream cones, a strong castle and perhaps their own beach. The possibilities are endless, and fill the children's time until a gentle, loving father scoops them from their reverie and takes them inside to bed. A promise is made for the future, and all is well. The artwork is rendered, for the most part, in black and white. The touches of blue and the profusion of golden yellow add charm to the flights of fancy. This is a quiet and gentle story; an imaginary adventure that speaks to the love the children feel for a treasured time shared with family. Kids will want to have it read on numerous evenings before bed, and you won't mind at all. so let's fill up this jar!" There are few words in this amazing new book by the incomparable Harry Bliss; few are needed. I have 'read' it numerous times and cannot tell you how many new discoveries I have made each time. I know that I do not 'get' all of the references included in these image-filled pages. The beauty of it is that everyone who shares it will come away with something that speaks to their experience with popular culture, the arts, the city of New York, and the nighttime adventures of one young and extremely talented girl with a mission on her mind. That mission is to raise money for Gus's 'buddy fund'. Gus is the classroom guinea pig. Gus is lonely. A Gus Buddy Fund jar is in full view of all children in the classroom, and Grace's teacher encourages his students to make a contribution. Grace loves Gus, and formulates a plan for filling the jar with one night's earnings. How will she do it? She leaves school, heading home for dinner with her dads and some early evening chores. Homework done, she is off to her room and bed. Or is she? We watch carefully as she gathers what she needs and heads out through her bedroom window on that mission. Her first stop is the 14th Street subway station where she busks as the fine violinist she is. Impressive as can be, her violin case provides a place for cash from an appreciative audience. Next stop ... Fifth Avenue. $3 caricatures of passers-by bring further funds, and much entertainment. Finally, she puts her gymnastic skills to work on the subway pole on her return trip home. What a talent this very ordinary looking girl is! The graphic form is particularly appealing for its many panels, its pacing, and the humor and discoveries to be made as each page is carefully considered. Get out a piece of paper and keep track of all that you see. Then, ask a friend or two to see what they can add to your list. I guarantee that you will have missed a lot. Go on ... go back again and check it out! And Gus? See for yourself. Friendship is a very special thing! I talk daily with my friend Lorna, who has lived far away for more than fifty years. We have maintained a friendship through desire and a genuine love for each other, passed down from our parents. I met my friend Carolyn when I was in middle school, and we still talk regularly, although she has lived in Quebec and Ontario since we graduated high school. Both of these friends, and many others, have seen me through good times and bad, and through communication droughts when we were raising kids, and yet we know that we can count on each other any day or night. Lucky we are when such friendships happen. Raphael's story of his friendship with Jerome is intense. He finds it very easy to love him. it's me he chooses as his buddy. Others don't see Jerome with the same eyes, but Raphael doesn't mind at all. The two love to do everything together. A day with his best friend is just the shot in the arm needed. 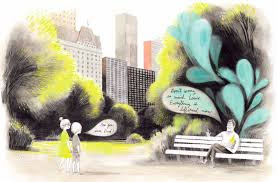 Olivier Tallec's gentle watercolors perfectly match the tone set in the text. There is humor, and total absorption in how the two spend their days. The palette is warm, showing all that the boys have in common. That warmth disappears when Raphael's parents become upset about the time the boys spend together. That opposition plays out in a drastic change in color, as Raphael tries to come to terms with his parents and their behavior. "Dad's voice is like sharp fish bones in my hot chocolate. Grownups must not be able to think straight in the morning. It's not like Jerome is a bad word." want to cuddle with her? In this picture book debut, Ms. Laditan gives voice to a character parents of young children are sure to recognize. Young and spirited, she has a fierce need to have her mother all to herself. To that end, she begins a campaign to roust her father from her parents' bed and take his place beside her mother. The bed is absolutely too small for three people to find comfort there, and she is afraid of the dark. "Daddy, are you scared of the dark? Because I am. She has a solution, and is happy to share it. Will she convince Dad to give it a try? I doubt it. But, you have to give her an 'A' for effort and imagination. 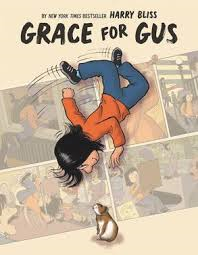 Tom Knight creates cartoon scenes that will have older readers and parents hooting. Mom and Dad seem immune to the persuasive logic, while trying to give their very persistent daughter a wide berth for innovative thinking and confidence. Parents know how determined and 'right' a preschooler can be! This little one is proof positive of that, providing charts, posters and lists that augment her arguments. 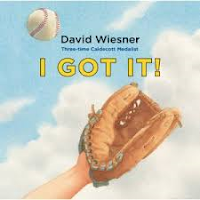 Full of fun, expressive, and sure to elicit a guffaw or two, this is a great read aloud for listeners in second grade and up. As well, the teachers and librarians I read it to found it very entertaining. Keep an eye on the eyebrows! He collected words he read." Jerome is a collector of the best sort. ; at least, for those who love words and the power they have to communicate and to help us understand the world. 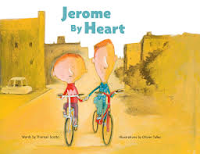 Jerome collects the words he hears, the words he sees, and the words he reads. He has a set of books for storage, and those books are arranged in very specific ways. In them he collects words that are part of an even greater collection ... 'Italian', 'whispery', 'serious', 'weather'. His growing pile of word-filled books are of great importance to him, as you can imagine. He spends his days adding to those collections. It is a worthy pursuit; one that comes with risks. One day, while transporting a towering stack, Jerome slips and falls. In seconds, his carefully gathered and duly assorted manuals release every one of those words to the ground around him. What a jumble! As he considers the result of his fall, Jerome begins a new process. He puts those words together in totally different ways. Using them to write poetry and lyrics, he makes a difference for others. Using them to express his feelings provides a power he has not previously felt. He keeps collecting. what he was thinking, feeling, and dreaming." Those of us who love words, and writing and reading them, know their power. In bringing them to the children whose lives we share, we help them learn to do the same. I wish I had remembered I had this book on a shelf while my granddaughters were visiting! Oh, well ... I will save it for next time. 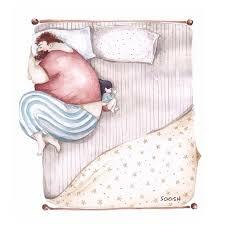 Bedtime is not always an easy time for children or their caregivers and parents. There is something about giving in to sleep that keeps an independent and in-charge three year old wanting to keep those peepers wide open. Sleep can get in the way of that independence. Watching as they fight closing their eyes can be a source of irritation. This book might make all the difference! After all, telling a young child not to do something is often the catalyst needed to make them even more persistent than usual. The book begins with a challenge. The wise and knowing owl offers it up. you can avoid bedtime, simple as that. 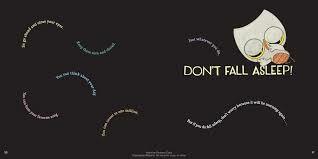 But each time you BLINK you have to turn a page. Many tricks are offered to keep the eyes open and unblinking. Maybe staring at the ceiling will help. Or, at something that holds more interest. Nope, that doesn't work. Pages are turned in quick succession, with every blink of the eyes. Each new tip comes up on a new page, assuring that the end is quickly approaching. Optical illusions don't work, nor staring or squinting. Will anything stop the forward movement? "How about using your fingers to hold your eyes open? Well, that seems to have bought you a few extra seconds. But we still need a better plan. Hmmm. Maybe try getting all your BLINKING out." Will this be the final straw? 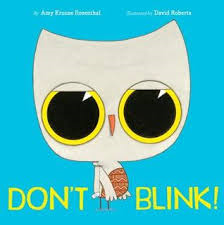 Ingenious, and a 'hoot' - it is as much fun to read as it is to listen. Love the design! The owl is increasingly tired as he tries to convince little ones to keep their eyes open. The ever-changing fonts offer pizzazz for the reading. What more can one ask of a bedtime book? Except to read it again ... now! Wow! 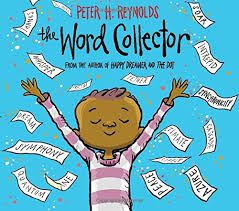 I was watching the announcements yesterday from Roger Sutton, editor of the Horn Book, for the winners of the Boston Globe-Horn Book awards for 2018, and this is the winner in the picture book category. Congratulations, Jillian! It is a well-deserved award, and I will tell you why I think so. I have just spent a month with a three-year old. Her wonder at the world, what she knows, and what she has seen, was evident every single day. Her imagination knows no bounds. 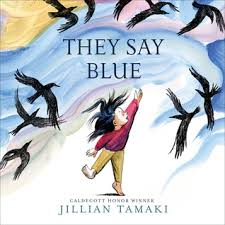 Jillian Tamaki, in her first picture book for young children, has perfectly captured that world. Her young narrator loves the water, and notes that she has been told it's blue; but, it is not when it flows through her hands. 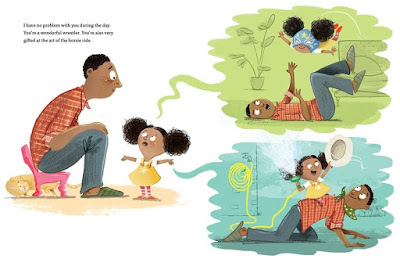 Those things she can see, and some she can't, and what she can imagine, are expressed in lovely, flowing language that carries readers from page to page. Her joy is shared with quiet candor as she moves from taking note of the colors she sees to the imaginative matters of her mind. When a grey sky and rain spoil her fanciful boat journey across a 'golden ocean', she bends to note the appearance of a purple flower and switches her attention to the new growth found in spring's arrival. From there, readers are invited to an appreciation for the passing of the seasons. It is the way a child's mind works! leaves to feel the sun. the sounds of the summer." How lovely! Ms. Tamaki's acrylic and Photoshop artwork swirls with movement and an awareness of the child's internal rhythms, as she revels in everything she sees around her.